Tech support scams are not going anywhere any time soon. 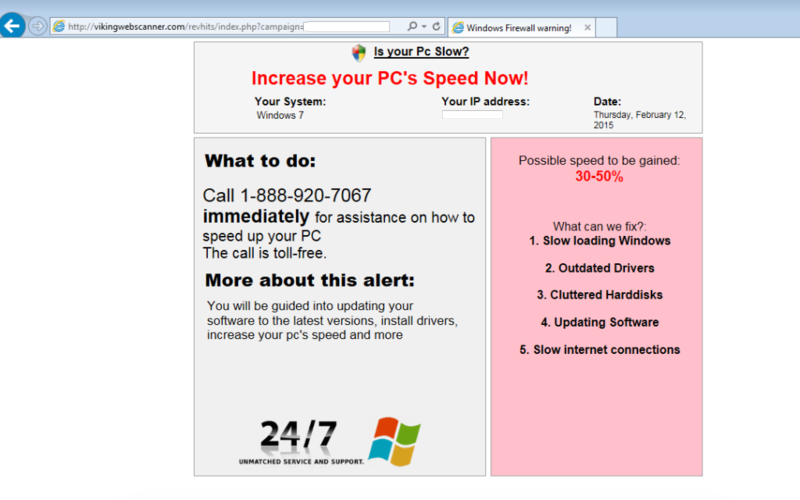 The number of fake pop ups and bogus 1-800 numbers keep popping all over the place. This usually happens while you are browsing the web, or perhaps if you make a typo in a site’s name. This is a classic scare tactic with the goal of tricking you into calling for “tech support”. Miscreants operating out of boiler rooms will impersonate Microsoft and ask you to pay hundreds of dollars for non-existent. Worse, they may hijack your PC and infect it with malware before running away.